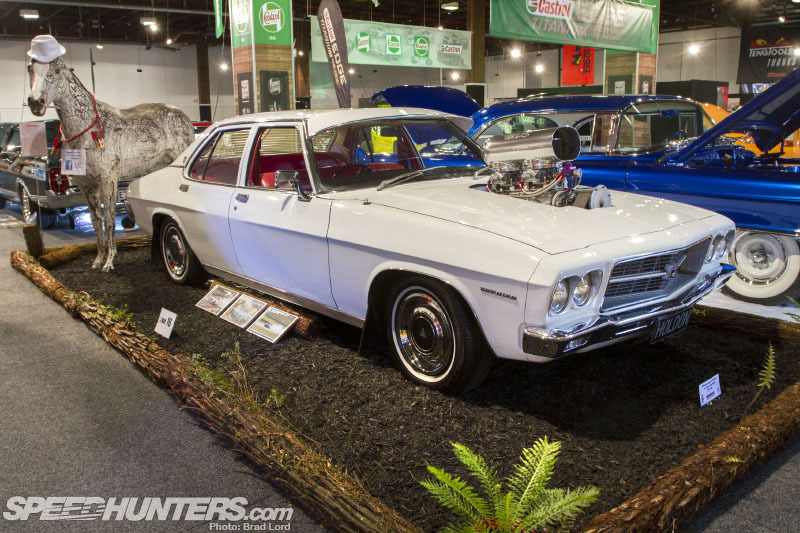 Earlier in the week I brought you coverage from the CRC Speedshow, and today I’m going to follow that up by taking you inside the Castrol EDGE/Teng Tools Custom & Classic Show – a new sub-event that brought together more 50 cars from all corners of New Zealand car culture. I’ll kick things off with the People’s Choice winner: this incredible Shelby GT500 SE ‘Super Snake’. The Mustang continuation model is a bonafide Shelby that features a ’67 body shell draped over a modern, performance-focused chassis. 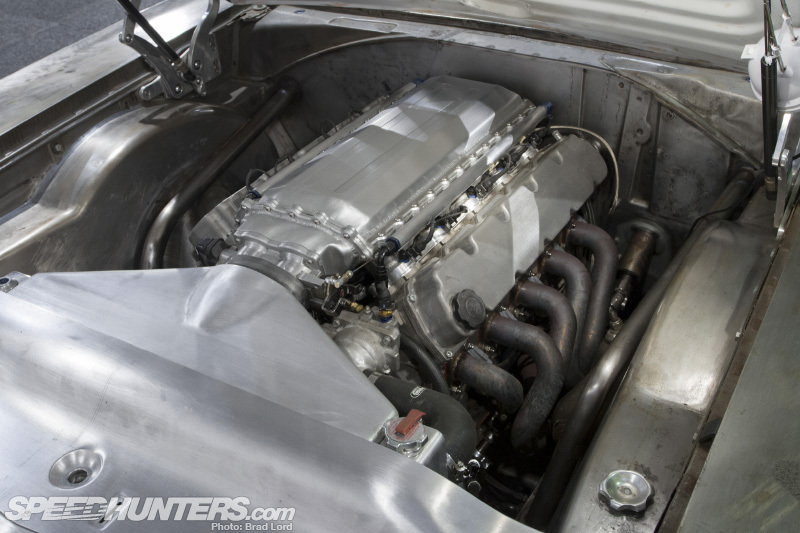 Then there’s the engine – an all-alloy, supercharged, Shelby 427 FE big block, bored to 482ci and throwing down around 750hp. 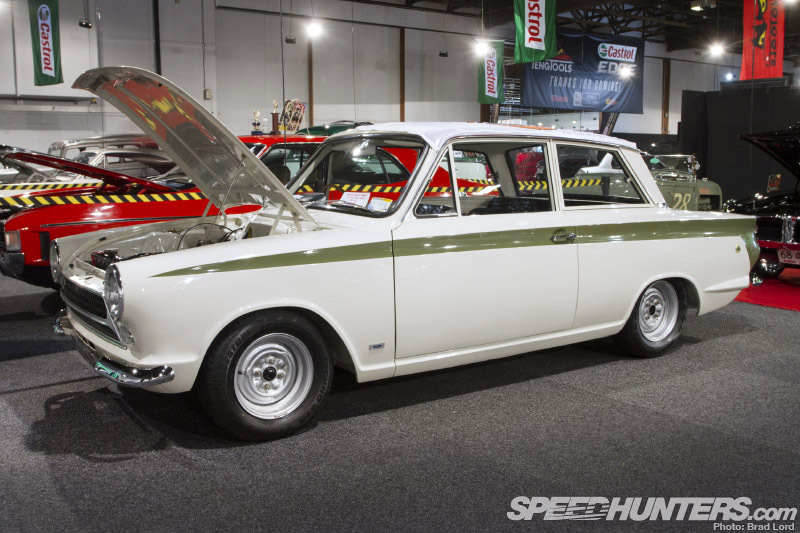 Sticking with Ford-based machines for a moment, I spent a long time gazing at this immaculate 1963 Lotus Cortina Mk1. And when I say immaculate, I mean it. 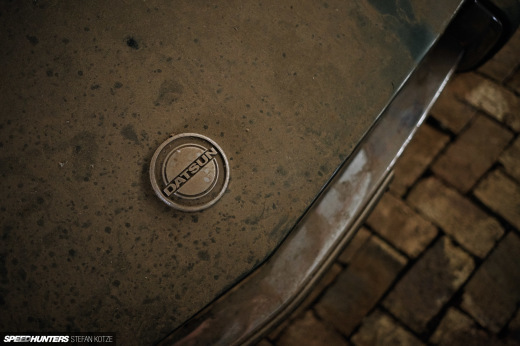 The 1558cc twin cam engine and close-ratio four-speed manual gearbox was borrowed from the Lotus Elan for this model, equipping the humble Cortina with pretty decent performance for the era. 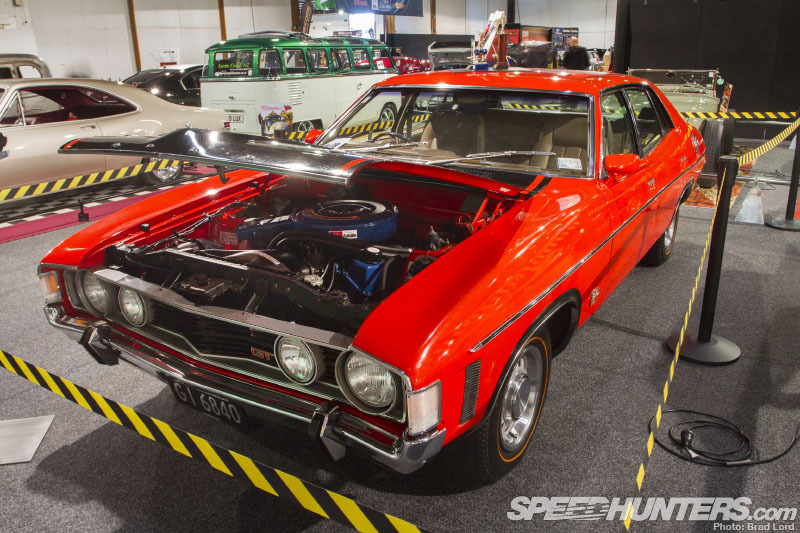 Next to the Cortina was this ’72 Ford XA GT Falcon – an iconic Australian-built machine from the muscle car era that came factory-fitted with a 351ci Cleveland V8, four-speed Toploader and a nine-inch LSD rear end. 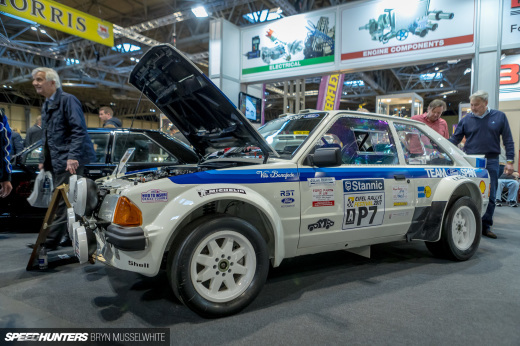 Although it looked like it had been on the receiving end of an extensive and expensive restoration, it was however, totally original with just 37,000 miles on the clock. Amazing! 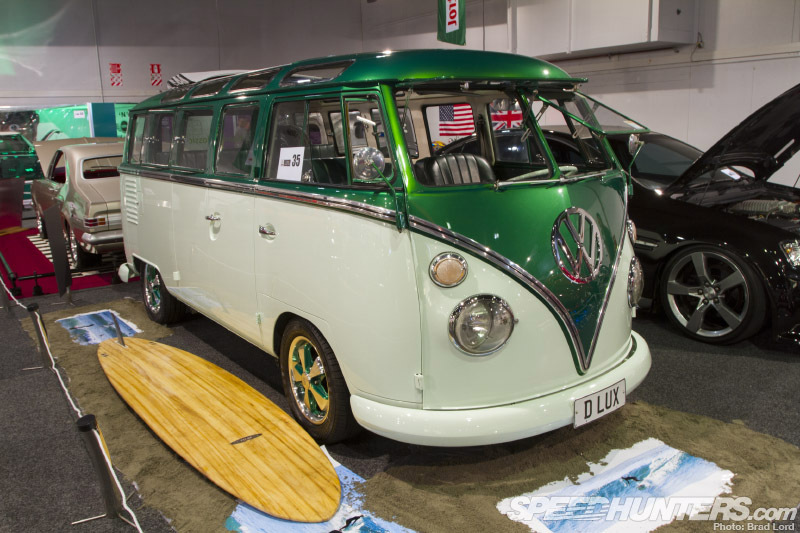 Amazing pretty much sums up this 23-window 1963 VW Kombi Deluxe too. Besides the factory Safari split-screen, custom two-tone paint and Porsche Fuchs wheels, the bus had been worked in the engine room, with CB Perfomance heads and twin 40mm Webers feeding its 1776cc flat-four. 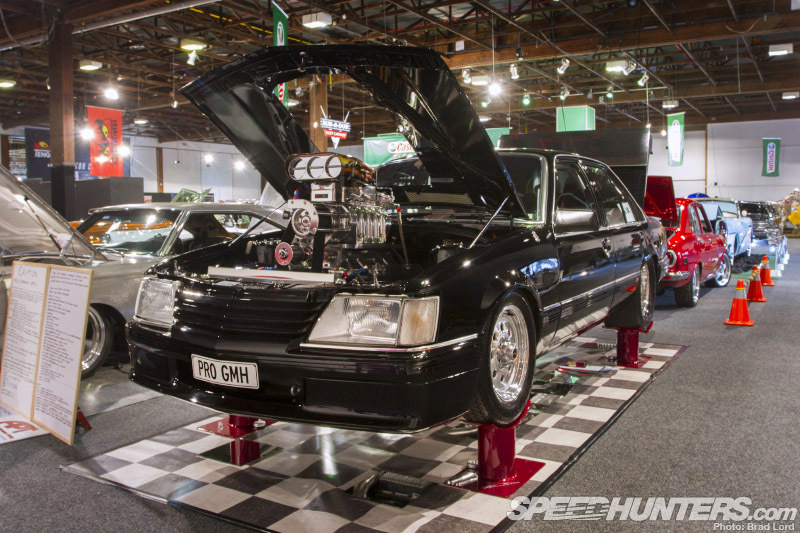 The Holden Commodore is a pretty popular modifying base in Australia and New Zealand, and this VH SL/E variant from 1984 takes it to the extreme. 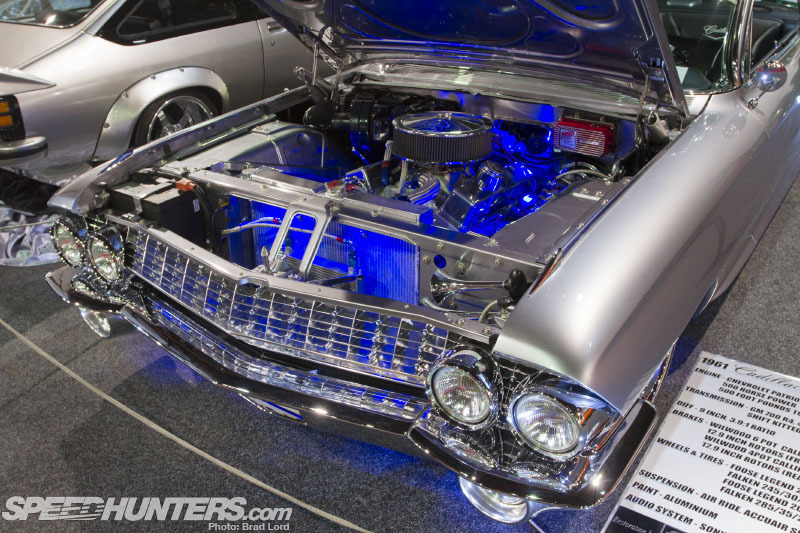 Front and centre is a fully worked GM-Holden 304ci V8 with a 4/71 blower and nitrous, which goes some way in explaining the custom four-link, wheel tubs and shortened nine-inch out the back. 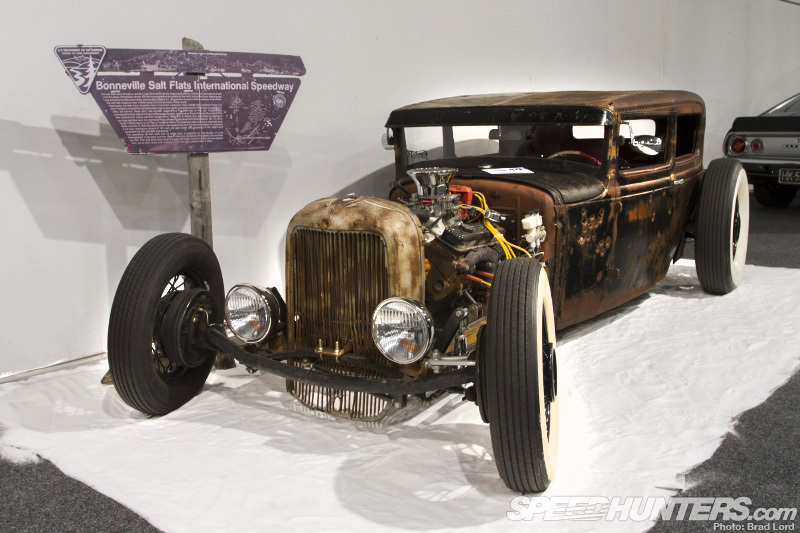 As soon as I laid eyes on this Model A-based rat rod, I remembered it from a cool story that Mike put together just after Bonneville last year. 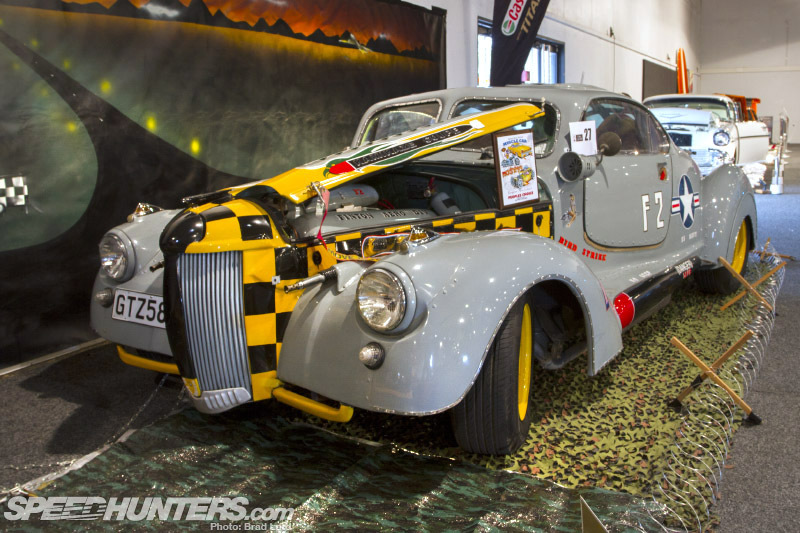 Its Kiwi owner had commissioned the car to be built at a hot rod shop in Washington, and immediately after picking it up embarked on a three-week long, 3000-mile road trip with his friends in tow. That adventure included a layover at the Salt Flats for Speed Week, hence the display. There’s not a huge trucking scene in New Zealand, but those who are a part of it seem to do it well. It was obvious that a lot of time had been sunk into this 1970 C10 GMC Sierra, and the result is pretty effective. 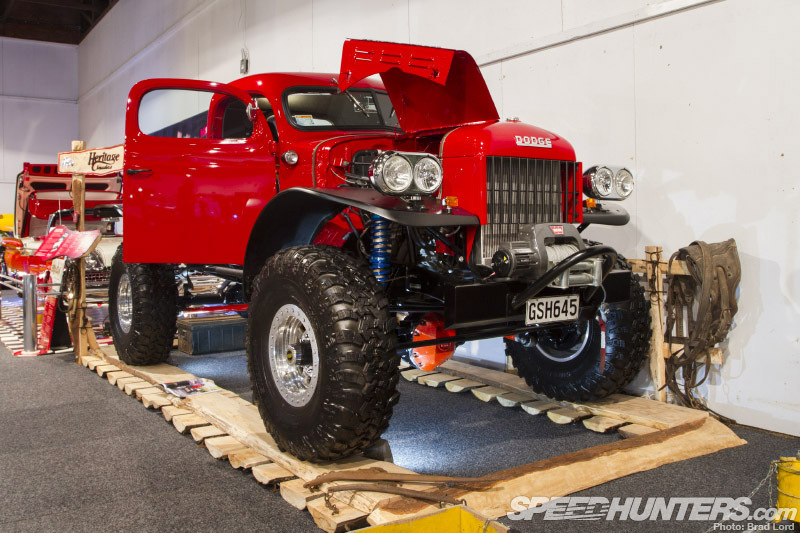 At the opposite end of the spectrum I found this eye-popping 1950 Dodge Power Wagon. 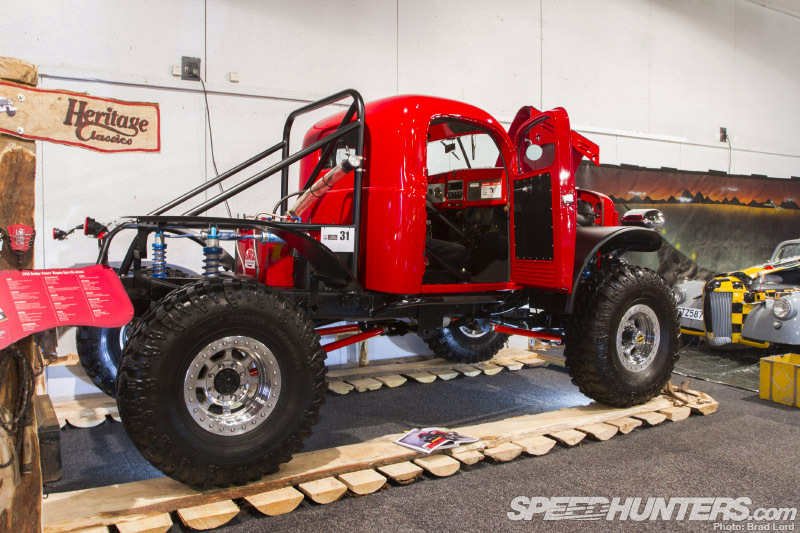 Built by Legacy Classic Trucks in Wyoming, some serious effort has gone into this one-off creation, including chassis shortening and a three-inch cab chop, a custom three-link front and four-link rear suspension, and a 480hp Chevy EROD 376ci V8 running into a TH400 trans and an Atlas transfer case. 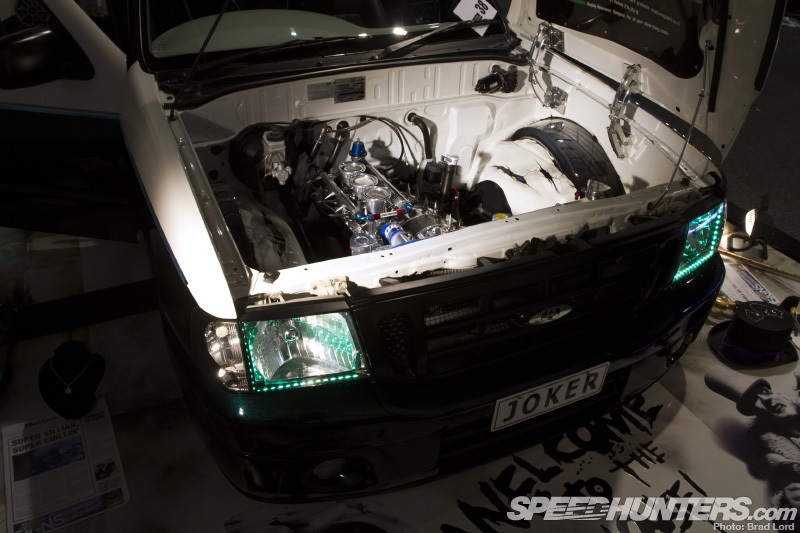 The ‘Joker’ Ford Courier mini truck has been doing the show rounds for a few years now, but it still pulls a crowd. Its defining aspect? That would be the PPRE 3-rotor engine swap. This ’69 Camaro Z/28 definitely lives up to its licence plate. 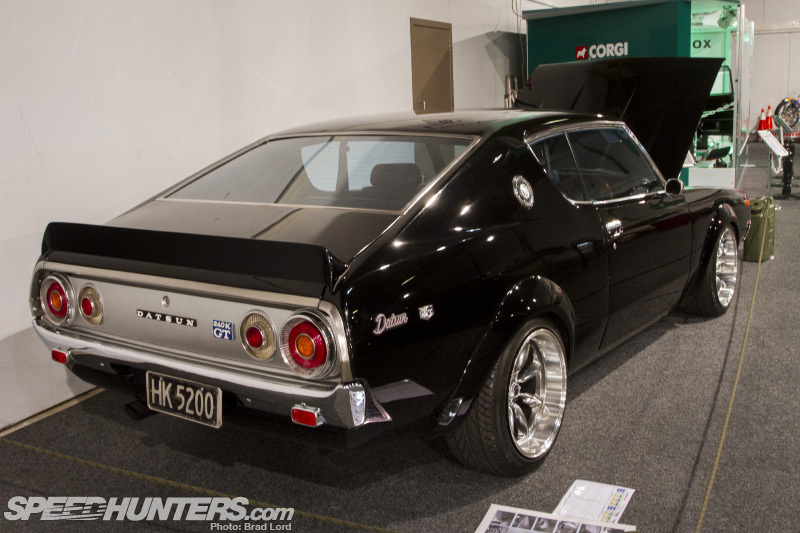 I saw this ’75 Datsun 240K GT (aka Nissan Skyline Kenmeri) at the 4&Rotary Nationals earlier in the year, but since then its been tuned to reveal 455whp courtesy of a fully-built RB30 engine. I’m not sure what’s under the hood of this ’73 Mazda Luce GRII (aka RX-4), but the exhaust leads me to believe that it’s not entirely standard – unlike its panel work and chrome detailing which is perfectly restored to original spec. 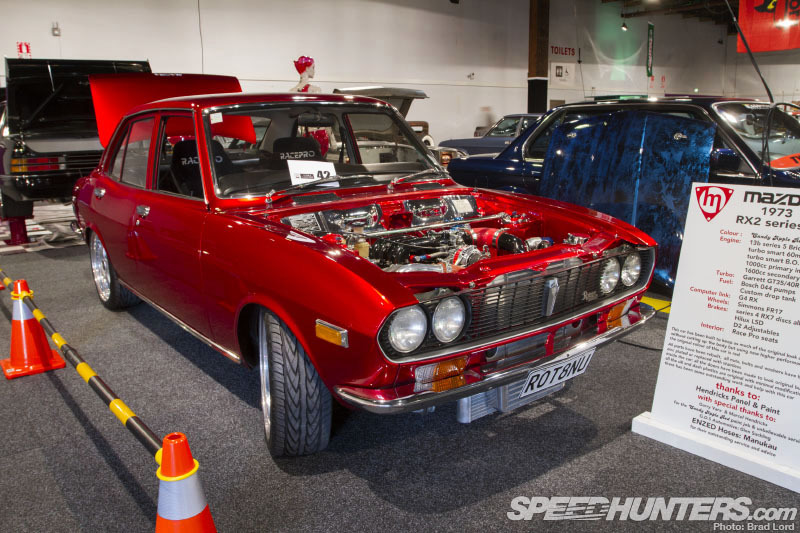 This ’73 RX-2 sedan had an amazing body too, not to mention a highly polished – and highly modified – S5 RX-7 13B turbo engine. 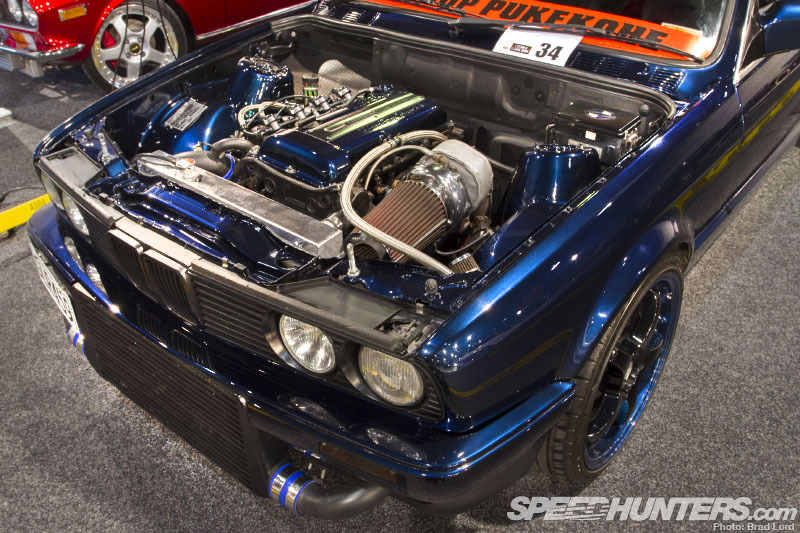 In New Zealand the humble BMW E30 is a common recipient of Mazda’s rotary engine, but not in this case. The Nissan SR20DET is a nice fit instead. Speaking of modified, the list of custom-fabricated and custom-fitted parts that have found their way into this 1968 Plymouth GTX project was almost as long as the car itself. That extends into the engine bay too, where you’ll find hand-formed tinwork – and an 8.3L V10 engine from a Dodge Viper. 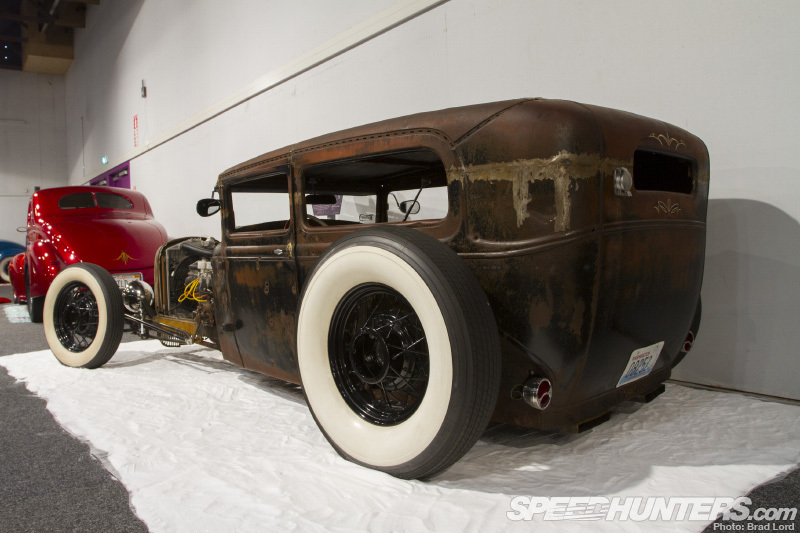 … to somewhat more original ideas, the Custom & Classic Show was full of surprises. 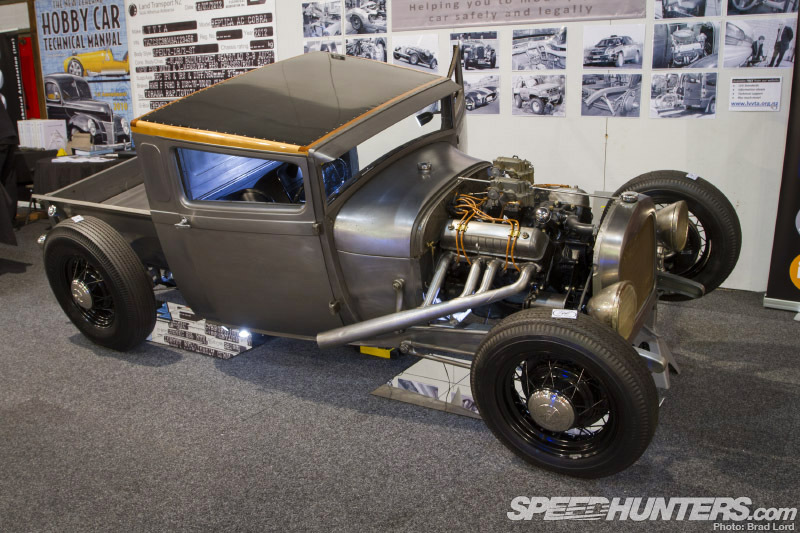 I’m digging the juxtaposition here: stock body, stock wheels and a stock interior meets supercharged 400ci Dart motor. And a horse. With a hat. 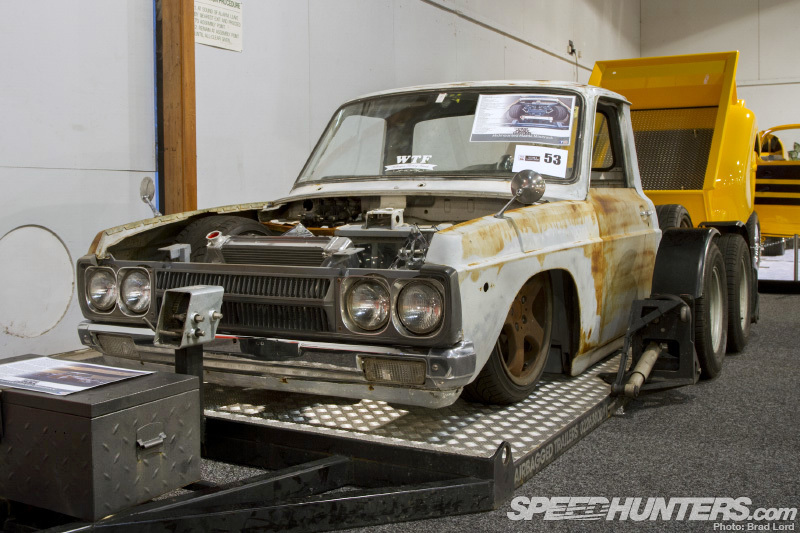 Another creation I originally laid eyes on at the 2013 4&Rotary Nationals was this unique Mazda B1600 build by Pimp Palace Customs. It might not be running yet, but it looked like a few minor changes had been made to the turbocharged Toyota 1UZ quad cam V8 engine out the back, so progress is being made. I really want to see this thing driving down the street! 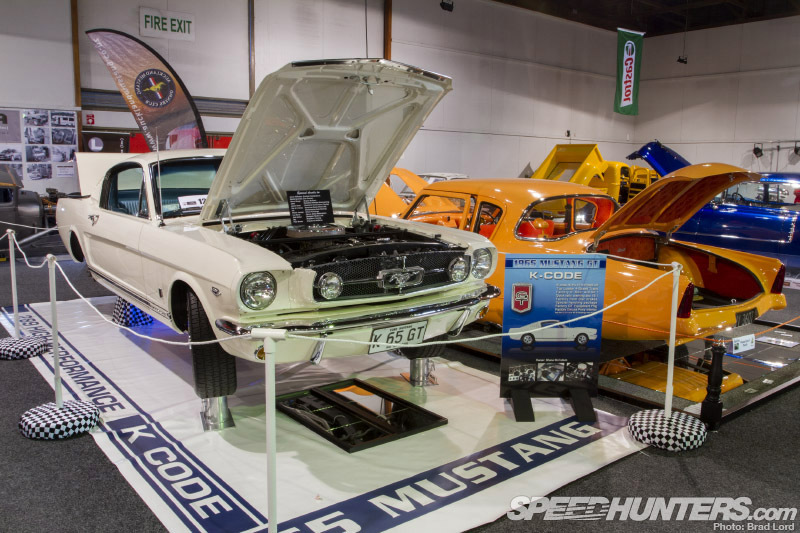 A performance-upgraded version of the factory 289ci V8 engine sets the highly sought after K-Code’ Mustang GT apart from its lesser-spec siblings, and this example was inch-perfect, inside, outside and underneath. 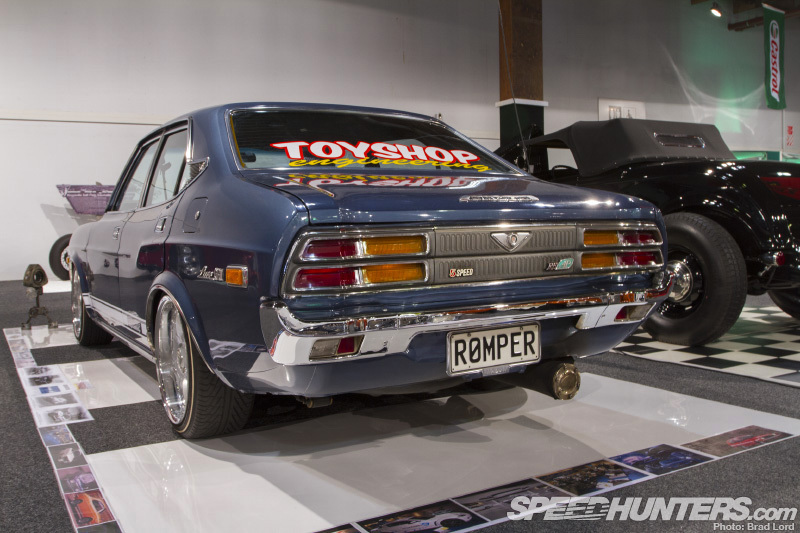 The same attention to detail had been applied to this Holden Torana SS hatchback – another high performance Australasian special from the ’70s. 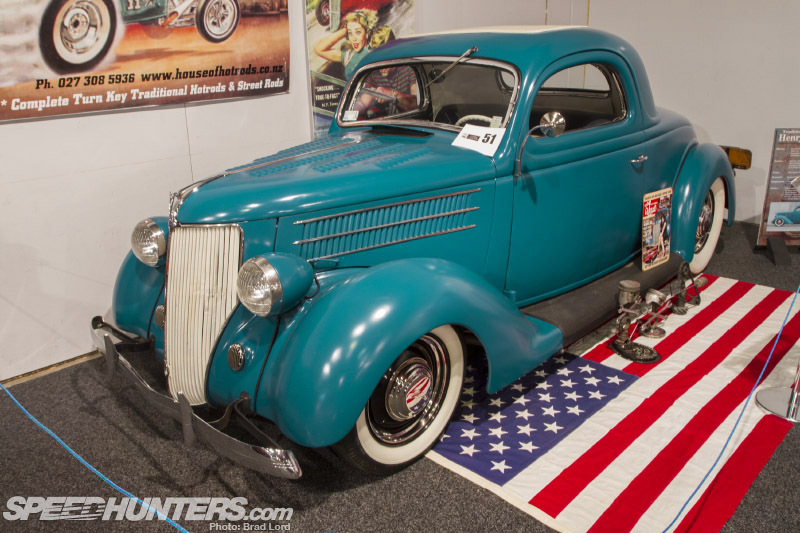 Once featured on the cover of Car Kulture DeLuxe in the USA, this ’36 Coupe was found in California in 2005 after being parked up since 1962. 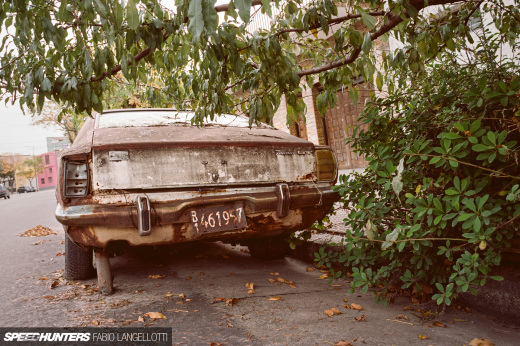 If that wasn’t cool enough, the fact that it had been subjected to a mild custom sometime prior to abandonment only adds to its authenticity. 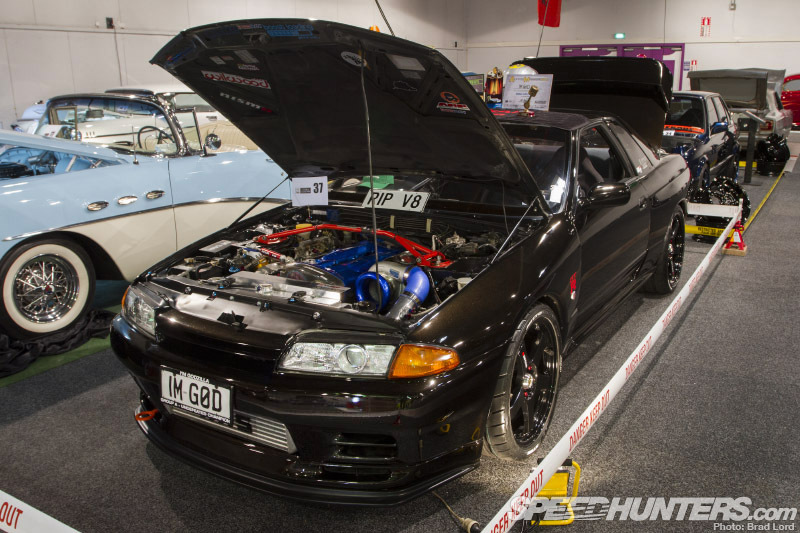 From old school to new school, this Mitsubishi Lancer Evolution VII definitely caught my eye. But with a fully-built 2.3-litre stroker 4G63 pushing almost 550hp to all four Enkei Raijin wheels, it’s definitely not just a pretty face. 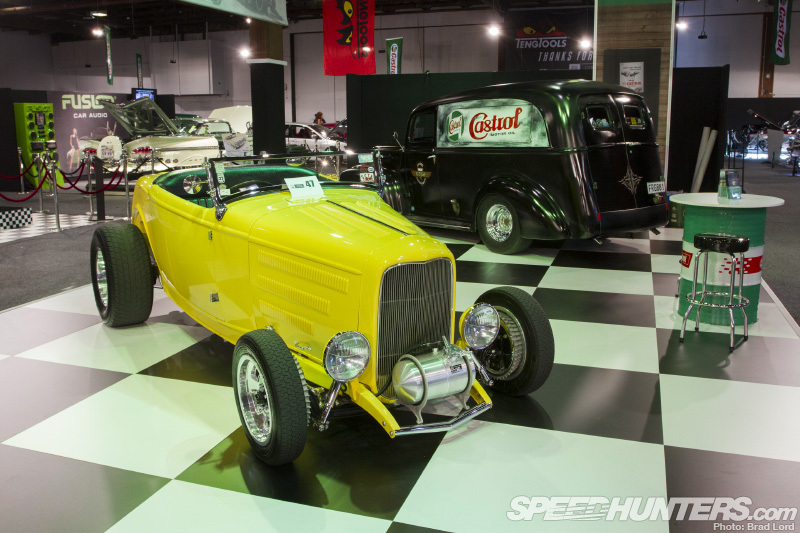 A Kiwi Connection frame meets a 364ci Nailhead Buick in this ’28 Ford Roadster recreation. I spent some quality time with ‘Necessary Evil’ earlier in the year, so it was good to see it again – all six metres of it! 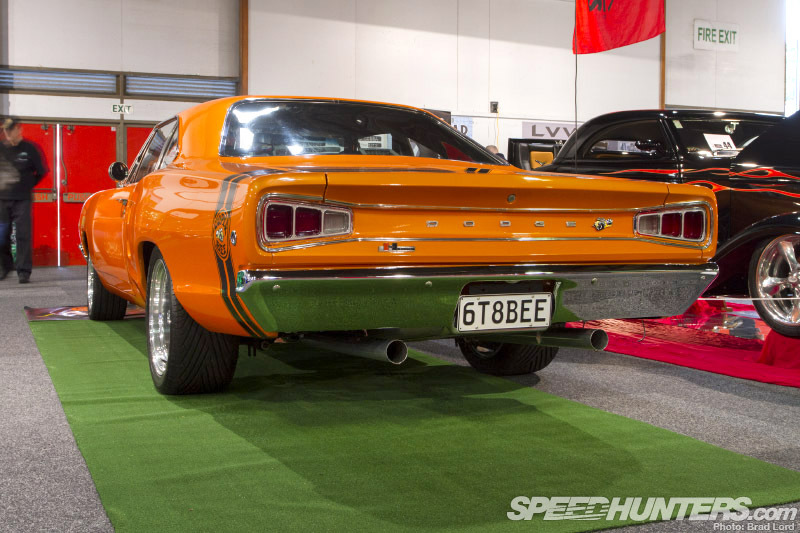 … rubbing shoulders with a classic ’68 Dodge Super Bee. If anything though, it opened people’s eyes to different aspects of car culture that they might not normally be exposed too. And that’s a good thing! 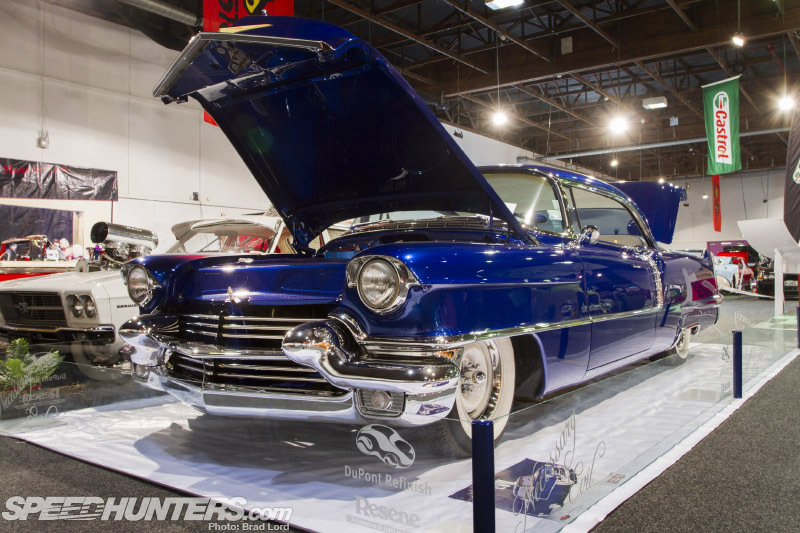 On that note I’m going to wrap up this post, and conclude our coverage from the CRC Speedshow with one of the coolest displays I’ve ever seen at a car show. 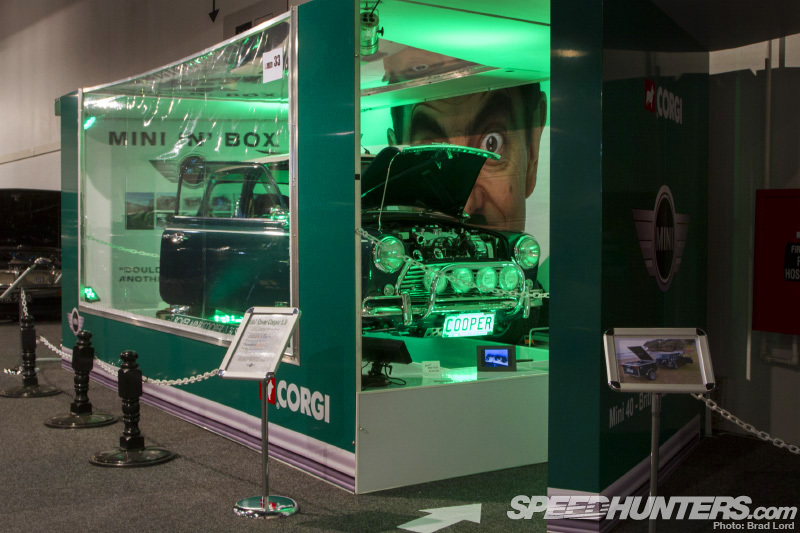 Yes, that’s a Mini in a 1:1 scale model box. Hey, I am the owner of the SR20DET BMW, Love the pic, Stoked to make it onto SpeedHunters. FredTatana Id be keen to look at brake setup I have one running rb25det s2 engine.